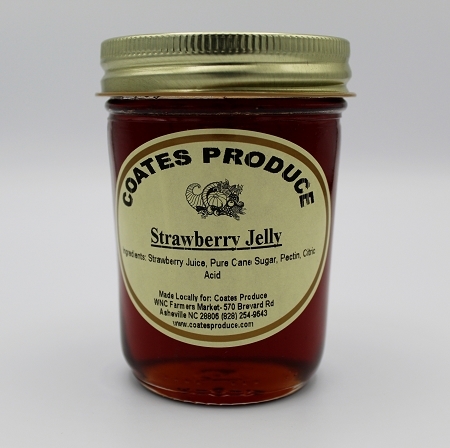 Our Strawberry Jelly is made in small batches and hand stirred. All you need is biscuits and butter. Ingredients: strawberry juice, pure cane sugar, pectin, citric acid.